Sidelined is probably the first book I’ve ever written that I didn’t have a soundtrack in mind for when I started. Possibly because a lot of the time, books I write come to me within the lyrics of a song! Sidelined wasn’t that way for me. Sidelined was born because of the characters I’d already written, and even when I got to the end of the story, I still found it difficult to nail down a playlist. But then I heard this song:. If you happen to read Sidelined, you’ll know exactly at which point to press “play” on this song, and why it so perfectly sums up the entire story. I challenge you to read the book, listen to the song, and not bawl your eyes out – I still can’t do it, and I know what’s coming! I actually think this song really sums up the whole of the Game On Series – because love is what it’s all about. Thanks for all the critique partner offers! You guys are so generous. In addition to Rusty (who is not only the best, but the funniest critique partner on the planet) I am honored to have the awesome Lynda Young and Misha Gericke helping me! Cate Masters’ Goddess Awakened is out today! Mark Noce just signed a contract with Rena Tossner of the Deborah Harris Literary Agency for his novel, Between Two Fires! 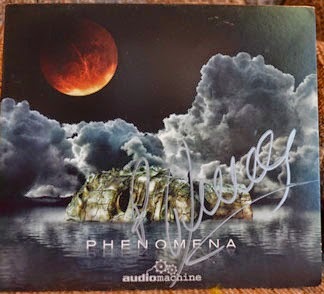 I got my copy of PHENOMENA last week, autographed by the composer! (Plus some other awesome gifts from Samantha Redstreake Geary.) After listening to the music again, I know I couldn’t have picked a better song, Drakon’s Empire, for my HEROES OF PHENOMENA story, CassaFate. And there was a formatting issue with the dialogue in my story (which has since been fixed) so if you downloaded HEROES early, let me know and I’ll email you a PDF of the correct version of CassaFate. Thanks to everyone who has voted for CassaStorm at the eFestival of Words Awards. I forgot to mention that you have to register with the site to vote first. Sorry for the confusion! Thanks to everyone who got involved in the discussion last week. Most were familiar with the definition I’d posted from several different sources. GB Miller, who has been on all three sides of the equation, said there was traditional, self-published indie, and subsidy. I strongly disagree with the assessment that you need to be with one of the big fives to be considered traditionally published. That's like saying that you must own one of the top five brands of cars to be considered a driver. And of course, ultimately, do readers really care? However, publishing industry guru Anne R. Allen read the post and comments and sent me another expert source to back up the definitions. In the interest of space, I will post that next Monday. Cheesy 80’s metal, but what guy doesn’t appreciate the video? If Seals and Croft were dead, this remake would cause them to roll over in their graves. Classic instrumental from the Satch Man! Another great song from a talented band. Picking up Kyra’s new book or any of the others? Do you have great critique partners? Picked up PHENOMENA? And what are your favorite songs of summer…? For some reason none of the youtube clips will play tonight - Server not found or some other irritating malarky. Congratulations to each and every one of this post's featured authors. This reader loves you all. Great group of things in your post, I need to get on Samantha for a few back musical items. I am one of the judges to "IMAGINE" that is happening right not. I just got word that Howlin' Wolf is releasing two scores on Tuesday one is classic "first time" on cd and the other a modern day flick... my promotions are starting soon. Over the weekend, wife has been sick so not a lot happening... we watched an advance of "Sabotage"... pass it. Thanks for featuring me today, Alex! Thank you for sharing Kyra! I look forward to reading her book because of you! I hope you had a great holiday weekend! and def a funny and i believe true comment on being published by the big five...smiles. I hope Kyra has a lot of success! Love your picks for summer songs. Makes me wanna get up and dance. I wish I had more critique partners. THanks for stopping by my blog, Alex. I hope you have a great week! Glad you found awesome critique partners. And it sounds like we're pretty much in agreement on the traditional publishing. I don't just have summer songs, but summer albums, like anything by the B-52s and Sergeant Pepper's Lonely Hearts Club Band. As always, lots of good info coming from this site and it's great seeing new offerings from different authors. As for summertime songs, one of my favorites is "Boys of Summer" by Don Henley...it always reminds me of some great summers in Kentucky. It's nice to meet Kyra! Thanks for the intro, Alex. Congrats too, to everyone on their good news. Happy Monday! Alex, thanks for the introduction to Kyra and her work. Kyra, if the soundtrack is any indication, your book is awesome. Wishing you much success. Congrats to all those who have books out this week. Enjoyed your pick of summer songs, Alex. Hope you have a great week. Good to see Kyra here today :-) And I love the summer songs! First Jeremy! You were up early this morning. And cool you're a judge. Sorry your wife was sick this weekend. Sorry the videos wouldn't play, Elephant. Brian, I thought she nailed it with that funny comment. River, their attire is awful, isn't it? And warned you on the Summer Breeze video. I was here, will have to return to check out those clips. I like the sound of Kyra's book but I am presently plowing through the biggest book I have ever read, Words of Radiance by Brandon Sanderson. That sucker is heavy. I'm picking up Cate's book. Right now I have Sheryl Crow's Soak Up the Sun on my iPod. I drive a Ford so I guess I'm a 'real' driver. Aw thanks for the shout-out, Alex. You rock! I love Springsteen's Sandy - it brings back a lot of beach and boardwalk memories. I'm glad you found your perfect song. I agree w/Kyra, the seaside would be such a great place to live, and if you got me there, it'd sure be hard moving me out. I've taught my pub & promo seminars for over 6 years, and GB's assessment is accurate. Those are the three ways to publish. Kyra - congratulations on Sidelined. I'm totally with you on my stories having a soundtrack. So far, nearly all of them have been inspired by songs and/or had their own playlist by the end of the writing process. I guess it's because I listen to so much music! Alex - I missed your post week (slapping my wrist), but the idea that you're only a published author if one of the big five has published you is both insulting and infuriating. And as you say, does the reader really care? I love hearing how authors use music for inspiration and motivation. Very interesting connections between those things. Am sure Anne came up with some great sources! You mentioned one of my fave songs from summer, Summer Breeze, by Seals and Croft. Their harmonies were exquisite. Summer in the City. God, can't remember who sang it. Oy! If the book is as beautiful as the song Ellie Goulding is a great work! Nice song to go with sidelined indeed. If i go with songs with summer in them, summertime blues is the only one that pops in. Songs are definitely integral for our books. We recently got the permission of a moderately popular band to post a quote from one of their songs as the opener of our next book, since the book was written while almost entirely listening to their new album. It's just awesome that after reading the manuscript they see the same vision we do. The whole music and writing connection never really hit me until just a couple of months ago when I heard a song that was practically the heartbeat of my novel. Never had that happen before. And I'll have my five summer songs up later this week. It was kind of hard to come up with five! Ellie, my latest was inspired by a song. And agree with you there. Karen, then don't listen to Type O Negative's version - it will give you nightmares. Bryan and Brandon, that is really awesome!! Kyra, I always have a great soundtrack in mind, so it's cool you have one for your books. Maybe you can release a digital album! Alex, thanks for the link to Nigel's book and congrats on getting PHENOMENA signed! Cynthia definitely wins. congrats to Kyra!! oh and The Adventures of Couch Potato looks SO cute. Big congrats to Kyra. And I always have to have my music blasting in my ears and in my mind when I'm writing. Just how I roll. Great choices of songs Alex. Brought me back to the old days with the Summertime Girls. I think it's so cool that people do soundtracks for their books. I haven't ever tried that. There are songs that take me back to a time when I was writing a specific manuscript. Glad you found some critique partners! I also don't really associate songs with a particular season, though there are some albums I like to have in my car during Summer because of their crank it up loud nature. Who's Next and Live at Leeds are my big summertime albums to play in the car, even though I bought WN on Halloween and LAL on my 21st birthday in December. You're right, readers don't care about the definition of traditionally published or not. I recently got a review in which it was obvious that a reader did not distinguish between my publishing "level" and George R.R. Martin's "publishing level" (Even though I see a huge difference as far as resources go). Love Ellie Golding's music. She's a regular on my playlists. Music never really enters my mind while writing. Once in a while a certain scene will become connected to a song, but that's fairly rare. I had never thought of a soundtrack to a book but it makes sense now! The lyrics were beautiful. Glad you found the song you needed. Congrats to you on your crit help and for Kyras succession her novella. Jaybird, that's how I also roll. Michael, what did the review say? Misha, hopefully more than just me!! Congrats to Kyra! My books never have a sound track, though each character does have a favorite song. And there are songs like make me think of summer. The most memorable was England Dan and John Ford Coley's "I'd Really Love to See You Tonight". Saw them on vacation with my sisters. I was just a kid and it was my first "concert". Kyra's book cover is awesome and it sounds amazing, though, reading a book that makes me cry my eyes out isn't my usual read. I read The Fault in Our Stars, and couldn't handle it, too realistic. I prefer quiet when writing but I'm all for a happy summer tune while driving! With Lynda and Misha as critique partners you are in safe hands, Alex. I prefer to write when its quiet, music distracts me. Congrats to Cate for her Godess release and to Mark for attaining and agent. WOOT! Congratulations to Kyra! And I love the idea of a soundtrack while writing. Interested to read what Anne had to say about the publishing discussion next week. Jean Baldridge Yates – Aww, thank you! I hope you enjoy it! Brian Miller – Pleased to hear you like the sound of Sidelined! Clarissa Draper – Thank you! 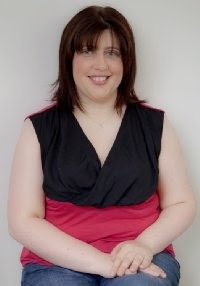 Karen Lange – Nice to meet you too! River Fairchild – Thank you! Jo – LOL, I recently read a monster of a book too, but it was totally worth it! Mail4rosey – I truly do love the seaside! L. Diane Wolfe – Thank you! Leovi – I really hope it is! A Beer For The Shower – That’s awesome! L.G Smith – It’s an amazing feeling! Maurice Mitchell – I would love to do that! Beth Ellyn Summer – Thanks! Mischa Gericke – I wasn’t much of a fan until I heard this song! Francis Lee – LOL, you should try it! Christine Rains – Thanks, right back at ya! Elizabeth Seckman – Thank you! Cathrina Constantine – Aww, I don’t like books that make me cry either – hopefully Sidelined won’t make you too sad! Suzanne Furness – Thank you! Ohhhh… I need to go back and read the traditional publishing comments. I find that fascinating! And so great for Kyra. And for YOU, Alex, for highlighting her. Rachna, that's cool you are one of Mark's critique partners. Congrats to Kyra! Sounds like she's written a great story with a fabulous theme song! Glad you found some new critique partners, Alex! Summer Breeze will never be the same again! Congrats to all of the authors! Yay, Kyra! Her book is already on my TBR list. And congrats on finding great CPs. I'm always amazed by mine and would never give them up (as long as they put up with me). My summer songs are being orchestrated by Katydids - *sigh* they're missing a nice, heavy beat though. Best of luck with your new CP's. My summer songs are usually of winter to counter-balance the Purgatory heat of S.W. Louisiana! Congrats Kyra!! I have songs for my books too :) It makes the book that much more awesome. I'm so excited for Kyra! And I love the summer songs! I have a disconnect between books and playlists. Just doesn't work in my head. Good critique partners are wonderful. Happy you found some. Mine are great too. So many great sounding books. One day I'll catch up with my stack to review and can read some of these. I love the song, How Long Will I Love You! So glad it's perfect for your book! Good luck with your book, Kyra. Nice song and great to have a song that goes with your book. Thanks, Alex, for sharing your picks of "summer" songs! YAY for Kyra! Love her work! Hi, Alex. I missed you. Excuse my absence; it's nice to be back. That's a beautiful song linked to Kyra's Sidelined. I'm thinking of Summer Time by Ella Fitzergerald. That one's amazing. Kyra, great takeover of Alex's blog. Much success to you. Alex, I can still play Summer Breeze on the strings. I like old songs better than new. I have no critique partners. Wish I did. I did pick up a couple of new books, but have forgotten the titles. One is a MG book. Critique partners are an essential part of the process for me. I'm sure yours will be invaluable. Satch and Y&T, 2 Bay Area legends I grew up with & saw on stage many times! Morgan, that's what I've done with those three partners. Julie, ruined that song for you, didn't I? Alex, thanks for the shout out. I only have two favorite summertime songs. And The Hooters fantastic cover of "The Boys of Summer". Blows the original away to smithereenies. I've had such a crazy day, I don't have enough brainpower left to answer your questions. I liked Kyra's post! And congrats to everyone with new books!!! I'm looking forward to reading Anne Allen's comments next week. Wishing every success for Kyra. Her song is great. Not easy to get good critique persons but you did it. Keep at it Alex! Congrats to Kyra and to Mark. Best wishes to Kyra and all the others with new book releases. Just off the top of my head, I'd pick Beach Boy songs for the summer songs because I saw them in concert many years ago. GB, you're welcome. And I've never heard their cover of that song. Songs of summer? I guess I can only think of "The Boys of Summer". Or... Is that the title? That's what I get for not paying attention. Thanks for sharing your songs. That Summer Breeze cover is certainly very different from the original. Thanks, too, for participating and for passing the word along. Much obliged. A lot of great bands have done summer songs. And thanks for the mention! Pressure is on now to be funny. Love the songs you chose. I am a big cheesy hair metal fan, so that first clip was amusing. And I love Type O Negative, so any choice of a song by them wins points. I think their music caused a lot of people to roll over in their graves, as it is. ;) But they were so classic. Hadn't heard the others but they sound great! I'm gonna post for this on Friday. "more shoes than Carrie Bradshaw " -- LOL! As for the publishing quote... no, you don't need one of the most well-known cars to be considered a driver. But it certainly helps to have a well-known top-selling brand when getting repair parts! I can walk into Autozone tomorrow and get most everything for my Chevy. I can walk into Barnes and Nobel and get plenty of books from the "big five." It doesn't speak to the value of the books (just like my Chevy is not as valuable as a 1931 Bugatti Royale Kellner Coupe), but they certainly are available. I imagine it makes marketing a smidgen easier when the product is easy to find. I had two good critique partners, but they both have run off with new lives. I suppose I'll hunt for new ones in a few months. Kyra, your book looks sweet and good, so I'll check it out. And since I listened to the song, no doubt I'll cry in the right place. Interesting that you always hear a soundtrack when you write, and maybe I should try that since it sounds like an original way to be inspired. Thanks for the great summer songs, Alex. Of course since I'm older than you my idea of summer songs means the Beach Boy ones I heard when I was a little kid. Cannot listen from where I am. Neat that you think of music that way. Have a great week. Thanks for sharing your top summer songs and a big congratulations to all the authors with new releases! Glad that you found the song to match you new work! Hi Alex - Kyra's selected sound track was beautiful .. while the descriptive blurb certainly makes me wonder what happens - picked the Kindle up - so I shall see. Love Ellie Goulding though .. I like that comment about the publishers. lol It reminds me of people who only listen to one type of music and consider themselves music lovers. Not possible! One of my favorite Summer songs is Vanessa Carlton's San Francisco. Hahaha. Fun summer videos you have there. Love the big hair in the first one. So glad you found some great critique partners! Just accepted invite to a new CQ (2nd time asked...they must be desperate!) and it's been a couple of years since I've been in one. Best summer music: Paul Hayward. Bumped into him playing at Pier 39 in SFO. Many Colors has great tunes. I have a critique group which rocks. Songs of summer- well truth be told I like the songs a person can dance to- usually hip hoppy...Pink is my favorite artist. Misha is an excellent critique partner, so you are in good hands. I can't wait to see what your source has to say about traditional publishing. I do think that people don't care anymore, especially those with e-readers. One of my favorite summer songs is Summertime by Kenny Chesney. It's country, but really sums up summer so well. Sadly, it's winter here. It's stormy and a pretty cold night, so all of your summer songs sound good to me. Congrats to Kyra! Great guest post! Kyra, I'm often inspired by songs, too. And I can always find songs to fit my stories as I'm writing them. Liz, that is the title! Rusty, I'm sure you will succeed! Lenni, true, it does help. Decadent, I can only imagine! Robin, be happy to shout out for you. 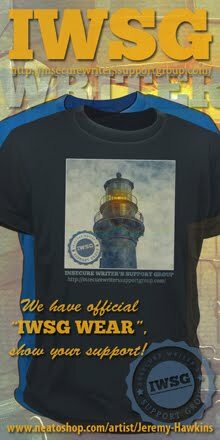 And doing one on your blog the day of the IWSG post would be perfect. And I have a long line of books to critique and am having to say no more and more. I wish I could read for everyone! Good to see the lovely Kyra featured on your thoughtfully interactive site, my illustrious friend. All the best, Kyra. Ellie Goulding is great music. Not another blogfest! I'm quite liking the "summer" feel of what is being called "electronic dance music." My favourite song of summer would probably be as of this moment, "Summer", by Calvin Harris. Congrats to Kyra on the release of her new book! Great Ellie Goulding song, which most of the are. For me, Sublime's 40oz to Freedom album feels like perfect barbequing summer music. Good friends, good beer, good music. Congrats to Kyra. It's always fun to hear about the new books being published. Thanks for clarifying about the eFestival, Alex ~ vote cast! I think my favorite summer song performance of all time was Fantasia singing "Summertime" on American Idol. Even better than Janis Joplin! Have a good one! I'm not even listening to the remake of Summer Breeze. I loved that song and will not have it decimated. Favorite song for the summer... Coldplays 'A Sky full of Stars' maybe? It's the only new one I really like I guess. Always good catching up on what everyone's doing when I stop by! Oh yes, some songs scream of belonging to one season or another. (at least to me.) Heatwave's 'Always and Forever' definitely winter. 'My Girl' by the Temptations is spring. But Sugar Sugar by the Archies owns summer. And that just proves how old I am, I guess. So glad you found more critique partners. I love mine and I'd be lost without them. Hope you are having a great summer! That's a pretty song by Ellie. I have Kyra's book. I somehow missed Y&T. This is my first time hearing this. Best of luck to Kyra with her book! And I wish I wasn't at work--I generally like your music choices, Alex, but I am stuck where I can't play them! DRAT! Kyra I like the blurb! Wahoo for Kyra! My sounds system is temporarily disable between moves...and it's killing me. My summer listening consists of what I access on my TV, and what I'm singing in my head. It's so tough having your life in storage. I like how Kyra's segment begins with music and you then end with your choices for the Songs of Summer. I'm doing that one on Friday, but we didn't have any overlap. I actually thought of the Satch song, but kind of went a different direction with what I'll post (and I haven't read through all the comments, but did anyone else notice you only picked four songs for your "five songs of summer"?). Parting thoughts on the whole publishing discussion -- "publishing" simply means the delivery system that gets stories shared among those who enjoy them. Looking at it from the widest perspective, for most of human existence "traditional publishing" meant sitting around the fire and sharing stories by word of mouth. Ah, that Ellie Goulding song is lovely! As is 80s metal when it hits the beach (is that one guy wearing a Hooters outfit?). Am late to the party on the traditional publishing debate but look forward to your post sharing Anne's insights. In the meantime, I'm with Cynthia--I wouldn't limit the definition to the big fives--and you--readers ultimately don't seem to care. As always, so much going on. If you were my age, you would have included Hot Fun in the Summertime by Sly and the Family Stone. And I love Cynthia's comment. That's so true! So glad you're only posting once a week, because it's taking me about that long to get around. Music is a big part of just about everything I do. Got a kick out of your 'Summer songs' that rendition of 'Summer Breeze' was...ah...er...different. It would make a good BOTB match-up. "And of course, ultimately, do readers really care?" I say, put a good product out there and let the readers be the gatekeepers. Gary - electronic dance music? I never would've guessed! Larry, still time to include it. Elsie, hard to feel negative when you're laughing. Hart, you'll have to come back. Holly, it was the one right before this - not far at all. Yes, Summertime Girls is a great song for the summer and forever! Pop the champagne for Kyra!! How did you manage to make a list of all songs I've never heard of?? One's even an 80s tune! Woo hoo for Kyra! Great theme song. Summer makes me think of lakes, beer, and movies more than anything else. Hope the writing is going well, Alex. Favorite summer song..too many to choose from..depends on the mood. Wow you're so right about Summer Breeze--that's a wild version of that song. I used to live by the ocean and I find that the inland areas have more sunshine. The marine layer is too gloomy for me. Kyra could get used to it. :) I used to like Boys of Summer by Don Henley. I am so cute sometimes. Had to look up betareader online. Another word for crit-partner. who knew! Congratulations to Kyra!!! Always fun to listen to some good tunes! Summer Wind by Sinatra is another one with summer in the title that I thought of while listening to the music and reading the titles here. I don't have a favorite song of summer, but I understand about having playlists for writing. Every book I write has a CD that goes with it, and a song I play beforehand to get myself mentally ready to write. 1. Whew! Sounds like I missed quite the discussion last week. I think any publisher that acquires your work through a submission process—and does not require you to pay anything—is traditional. The experience just varies depending on the size and reputation of said publisher. Nicki, you need to fix that! Carrie, thanks, and that's how I see it. The 2 songs that comes to mind is Boys of Summer by Don Henley and Higher Love by Steve Winwood. I still love those songs. I love Boys of Summer too, like mshatch! It is my first choice! Summertime Girls. WOW. That one brings me back to Middle School in a seriously good way. Great choice! It's funny that Kyra mentions the book soundtracks, because every story I write has its own music as well. Finding that perfect 'soundtrack' can be so inspiring and brings me right into the mood of the story. Couldn't do without. Oh congrats to Nigel! I've seen that before, but I didn't realize it was his!! I'll have to check it out. I hope you're enjoying your summer Alex!!! Like you I don't usually associate songs with a season (other than Christmas songs). I'll try to put my list up before the event, but I'm not going to add my link to the list unless I've actually come up with a post. SL, happy to take you back a few years! Vanessa, certain music fits with what I write and I need it as well. Kyra's book sounds intriguing! I don't think of music with seasons, except the Beach Boys for summer.I'm glad to hear you found good critique partners! How cool is that? Congrats Kyra. Wow, what a selection of songs, Alex. That first one really made me laugh. I think I hurt something seeing that Y & T video. What a hoot! And, agreed, that remake of Summer Breeze was...something...different! Interesting playlist story from Kyra. Wishing her "Sidelined" much success. Congrats to Cate, Nigel, and Mark!! I'm looking forward to Anne's definition of trad-pubbed. Glad to hear you found some good critique partners. I like your list of summer songs. I'd never heard of Summer Breeze or Summer song. Nice post, Alex. As usual. I'm bummed I missed the publishing post last week. It sounds like you had a great discussion going on. Hope you have an awesome weekend, Alex. You rock! So cool to get a signed-by-the-composer copy of PHENOMENA! Laughing at Cynthia's comment! Too right, she is! Congratulations on the new critique partners. 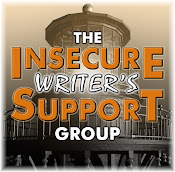 An extremely valuable resource to any writer. May it be a great relationship for you all! One of the cool side effects of this summertime song bloghop is how much music I'm getting to hear for the first time. I especially like that Joe Satriani song. As always, lots of information to be found here. Thanks. You da man. Great list of summer songs, Alex. Thanks for participating in the blog hop. The Summer Songs bloghop has been so fun to read in my travels around the blogosphere. I've also seen Kyra everywhere, so congrats to her for a great blog tour! I thought of a few more Summer songs! Summertime Sadness was popular last year but not sure who sings it. Someone mentioned Boys of Summer and I love that song. Reminds me of high school. congrats to Kyra on her new release! I enjoyed her novel Game On. Stephanie, glad I made you laugh. Cygnus, thanks for hosting, and it's one of his most popular tunes. Yes Alex, I'm glad you use my photo on my post from Monday. Thank you very much! I love that song :). Lisa, that made me chuckle. Leovi, thank you! Will feature it tomorrow. Couch Potato looks like a good one -- I always enjoy unlikely hero tales. Traditional publishing doesn't refer to Big 5. That's a sporting goods franchise. I just listened to "How Long Will I Love You" and got chills. If that's the song that sums up Kyra's book, she's got a winner on her hands. Big congratulations! I have the BEST critique partners. Really, anyone who's willing to take the time out to offer constructive feedback--how can you NOT love them? I'm so honored that I was mentioned for posting the "funniest comment!" Cynthia's comment was pretty funny, for sure! Yay for your new critique partners, Alex! Woot! I'm so excited for Kyra! Go Sidelined! 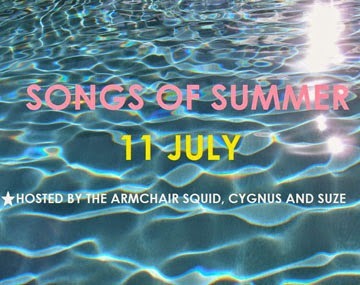 I like the idea of choosing songs with summer in the title. I should make a mix tape for my niece since that's her name!